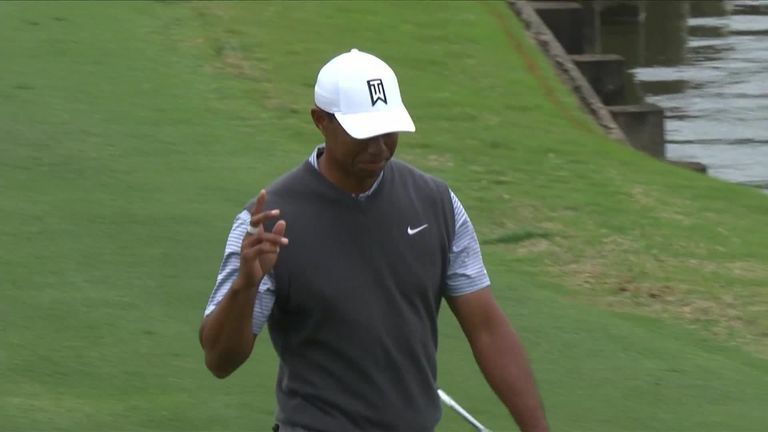 Tiger Woods produced a moment of magic from the fairway to help him to victory in his must-win match against Patrick Cantlay at the WGC-Dell Technologies Match Play. Woods had to win to have any chance of progressing from Group 13 but found himself two behind after eight holes at Austin Country Club, only to win the ninth hole and posted back-to-back birdies from the 11th to edge ahead. Better was to come at the par-four 13th, where Woods found the right side of the fairway off the tee and then attacked the flag with his second shot. Woods approach from 83 yards landed a couple of feet right of the pin before spinning back and trickling perfectly into the cup for an eagle-two. The hole-out extended Woods' advantage, with the former world No 1 adding a 20-foot birdie at the next and sealing his 4&2 victory by picking up another shot at the par-five 16th.